TUSCALOOSA, Ala. — Dr. G. Christine Taylor will join The University of Alabama as vice president and associate provost for diversity, equity and inclusion beginning Aug. 1, pending approval by The University of Alabama System Board of Trustees. Taylor brings more than 25 years of higher education experience and a successful career in diversity and inclusion. She will have a dual reporting role to Executive Vice President and Provost Kevin Whitaker and UA President Stuart R. Bell. Most recently, Taylor served as vice provost for diversity and inclusion and chief diversity officer for nearly six years at Purdue University, where she led and provided strategic direction for the Division of Diversity and Inclusion. During that time, she implemented more than 35 programs to support increasing enrollment, retention and recruitment of underrepresented minority students, faculty and staff. She also provided critical leadership in the development of a more inclusive campus environment with an emphasis on the development of cultural competencies for all faculty, staff and students. As vice president and associate provost, Taylor will provide leadership for the University to build on its core principles of inclusiveness in learning environments, programs, workforce and strategic partnerships. 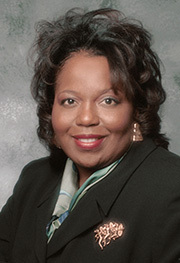 Before working at Purdue University, Taylor served as the associate vice president for institutional diversity at Miami University in Oxford, Ohio. In 2004, she joined Ohio University as the interim assistant to the president for diversity and was promoted to assistant to the president in 2005. Taylor received her bachelor’s degree in broadcast journalism from Middle Tennessee State University in 1979. She earned her master’s degree and doctorate from Ohio University in 1989 and 1997, respectively.